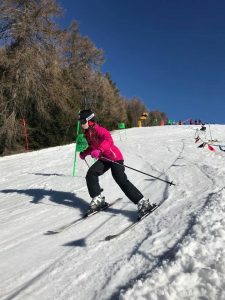 Over five days the Cadets and Adult Volunteers improved their skiing technique in a competitive yet fun team environment. Colonel Ian Sackree, Colonel Cadets for the East Midlands said: “Everyone achieved a great deal. The cadets developed a new skill, built personal confidence and formed a real team bond. 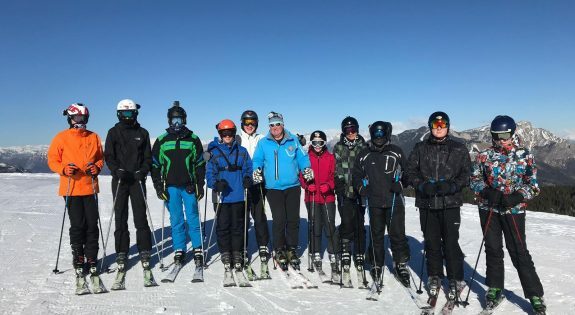 Cadets spent five hours each day on the slopes with professional ski instructors and by the end of the week all had achieved at least a level two ski award, with 22 of them reaching the highest level and two cadets earning the Joint Services Ski Foundation Level One qualification. This is the first region wide ski trip for the East Midlands with counties having previously organised their own trips. Everyone achieved a great deal. The cadets developed a new skill, built personal confidence and formed a real team bond.